In the astonishing new novel by the author of the bestsellers "The Robber Bride," "Cat's Eye," and "The Handmaid's Tale," Margaret Atwood takes us back in time and into the life and mind of one of the most enigmatic and notorious women of the nineteenth century. Grace Marks has been convicted for her involvement in the vicious murders of her employer, the wealthy Thomas Kinnear, and of Nancy Montgomery, his housekeeper and mistress. Some believe Grace is innocent; others think her evil or insane. Now serving a life sentence after a stint in Toronto's lunatic asylum, Grace herself claims to have no memory of the murders. Dr. Simon Jordan, an up-and-coming expert in the burgeoning field of mental illness, is engaged by a group of reformers and spiritualists who seek a pardon for Grace. He listens to her story, from her family's difficult passage out of Ireland into Canada, to her time as a maid in Thomas Kinnear's household. As he brings Grace closer and closer to the day she cannot remember, he hears of the turbulent relationship between Kinnear and Nancy Montgomery, and of the alarming behavior of Grace's fellow servant, James McDermott. Jordan is drawn to Grace, but he is also baffled by her. What will he find in attempting to unlock her memories? Is Grace a female fiend, a bloodthirsty "femme fatale"? Or is she a victim of circumstances? 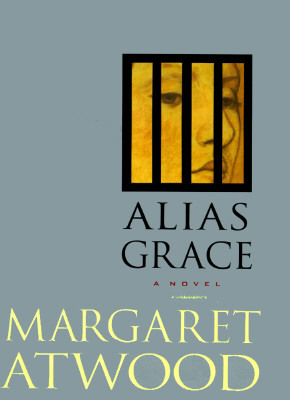 "Alias Grace" is a beautifully crafted work of the imagination that reclaims a profoundly mysterious and disturbing story from the past century. With compassion, an unsentimental lyricism, and her customary narrative virtuosity, Margaret Atwood mines the often convoluted relationships between men and women, and between the affluent and thosewithout position. The result is her most captivating, disturbing, and ultimately satisfying work since "The Handmaid's Tale"--in short, vintage Atwood.